I am a writer and to date have published two novels, both with Random House: A Rational Man and The Arrogance of Women. 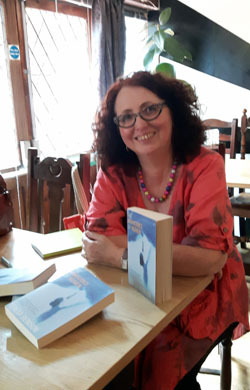 These days I am the co-founder of Penzance Writers’ Cafe, a trustee and organiser of the Penzance Literary Festival and also run the occasional creative writing class. I am also a person-centred counsellor, so do feel free to visit our website to find out a little more about that side of things….